Do you have a recognised childcare qualification: NNEB, NVQ/CACHE Level 3 or equivalent. Would you like to work for an award winning employer? Employer of the Year Training and Development Provider of the Year Nursey Group of the Year If you have: Previous experience of supporting a manager in managing day to day operations of a day nursery setting. Solid under 5’s childcare knowledge and experience. Sound knowledge of Ofsted guidelines and the EYFS. Sound knowledge of safeguarding and child protection procedures. A commitment to equal opportunities and an ability to work effectively with young children and their families. Good communication skills with a positive willingness to learn and develop. Join our team of enthusiastic and passionate Deputy Nursery Managers. We are a dedicated, family led childcare provider, who believes in offering all of our staff a positive environment in which they can grow and develop. In return for your dedication and commitment we offer: 5 paid days in-house training, every year. Birthday off – in addition to statutory annual leave. Individual career progression and development opportunities. Employee of the month dedicated to your individual nursery. Annual ‘Superstars Awards Day’ celebrating both individual and team achievements On-line recording of children’s Learning Journals. 50% off your childcare fees if your child attends any of our settings BUPA Health Care package, on completion of your probation period, which includes 1000’s of discounts from major retailers Competitive salary in line with qualifications and experience. Bonus for great attendance Everyone that works at Hungry Caterpillars is an important part of our successful team and therefore we ensure you will be respected, appreciated and rewarded for the great work you do. We look to recruit motivated, unique individuals with a passion for helping children and families to achieve their very best. I If you can: Effectively assist in leading and managing the staff team including providing day to day guidance, training and support to all practitioners. Achieve and maintain an inclusive environment, prioritising high standards of care and education. Promote and facilitate partnerships with all parents/carers. Promote a safe environment for all users. Able to comply with all company policies and procedures including health and safety. Able to ensure nursery records are kept up to date and confidential. Attend meeting and courses as required. Positively and actively promote the setting. And would like to build a career ladder with Hungry Caterpillars then please forward your C.V Find further information on our award winning nurseries on our Hungry Caterpillars website Please Note: This post is exempt from the provisions of Section 4(2) of the Rehabilitation of Offenders Act 1974. Due to the nature of the above jobs and in line with Hungry Caterpillars safer recruitment requirements, an appropriate level of disclosure under the Disclosure and Barring Service will be obtained. Would you like to work for an award winning employer? NMT:Employer of the Year NMT:Training and Development Provider of the Year NMT:Nursey Group of the Year Calling all Qualified Childcare Professionals: do you have an NNEB, Childcare Degree, NVQ Level three or equivalent? Are you looking to join a passionate and dedicated team of childcare practitioners? Then Hungry Caterpillars Day Nurseries should be your next professional step. We are a dedicated, hands on family led childcare provider, who believes in offering all our staff a positive environment in which they can grow and develop. We are currently looking for enthusiastic qualified Childcare Practitioners: If you have: Sound knowledge of EYFS. Sound knowledge of safeguarding and child protection procedures. Commitment to equal opportunities and an ability to work effectively with young children and their families. Good communication skills with a positive willingness to learn and develop Are you able to: Ensure planning is completed in line with the EYFS and company requirements, so promoting a positive and enabling child centered environment. Promote a safe environment for all users. Comply with all company policies and procedures including health and safety. Ensure nursery records are kept up to date and confidential. Attend meetings and courses as required. Positively and actively promote the setting. In return for your dedication and commitment we offer: 5 paid days in-house training, every year. Birthday off – in addition to statutory annual leave. Individual career progression and development opportunities. Employee of the month dedicated to your individual nursery. Annual ‘Superstars Awards Day’ celebrating both individual and team achievements On-line recording of children’s Learning Journals. 50% off your childcare fees if your child attends any of our settings BUPA Health Care package, on completion of your probation period, which includes 1000’s of discounts from major retailers Competitive salary in line with qualifications and experience. Bonus for great attendance If you would like to build a career ladder with Hungry Caterpillars then please forward your C.V Find further information about our award winning nurseries on our Hungry Caterpillars website Please Note: This post is exempt from the provisions of Section 4(2) of the Rehabilitation of Offenders Act 1974. Due to the nature of the above jobs and in line with Hungry Caterpillars safer recruitment requirements, an appropriate level of disclosure under the Disclosure and Barring Service will be obtained. Job title: Nursery Practitioner Responsible to: Room Leader/Nursery Manager Responsible for: Key children Purpose of the job: To work as a key person and as part of the team under the direction of the manager. To provide safe, high quality education and care for young children which meets the individual needs of children attending the setting. Main duties To assist with the planning of the curriculum using the Early Years Foundation Stage (EYFS) curriculum for guidance. To help to set up the playroom(s) for the daily programme and to help tidy away at the end of the session. To act as a key person to a small group of children, liaising closely and building an effective relationship with parents/carers and ensuring each child's needs are recognised and met. Work in partnership with parents/carers and other family members. To advise the Manager of any concerns e.g. over children, parents or the safety of equipment, preserving confidentiality as necessary. To teach children, offering an appropriate level of support and stimulating play experiences. To ensure that children are kept safe and that you understand when to follow child protection procedures. To support meal times within the setting. To actively participate at team meetings, supervisor meetings and appraisal meetings. To attend training courses as required and to take responsibility for your development. To keep completely confidential any information regarding the children, their families or other staff, which is required as part of the job. To be aware of and adhere to all the setting’s operational policies and procedures, e.g. health and safety, fire precautions, dropping off and collection of children, food safety, cleanliness of the setting etc. To ensure that adequate records are kept and updated regularly. Look upon the nursery as a ‘whole’. Be flexible within your working practises and be constantly aware of the changing needs of the children and nursery. To promote the nursery to current parents and potential customers. To undertake any other reasonable duties as directed by the Manager, in accordance with the setting’s business plan/objectives. It is the nature of working in a nursery that tasks and responsibilities are on occasion unpredictable and varied, so to retain flexibility this job description is not an exhaustive list of duties and the post holder will be required to undertake any other reasonable duties discussed and directed by the Nursery Manager/Operations Manager. Person specification Essential criteria Willingness to learn. Level 2 early years education and childcare qualification or equivalent. Previous experience of working with young children. Sound knowledge of child development for children from birth to five years. Knowledge of the Early Years Foundation Stage (EYFS). Knowledge of child protection procedures. Good communication skills. An understanding of play based approaches to children’s learning and development. Commitment to equal opportunities. Commitment to working effectively with young children and families. Friendly and flexible approach at work which facilitates the development of effective relationships. Desirable criteria Level 3 early years education and childcare qualification or equivalent. Willingness to undertake further training. Current First Aid at Work qualification. Current Food Hygiene certificate. Terms and conditions Hours: 40 per week Salary range: Dependant on qualification and experiences This post is exempt from the Rehabilitation of Offenders Act (1974) and does require a Disclosure Barring Scheme check. Applicants must be prepared to disclose any convictions they may have and any orders which have been made against them. Would you like to work for an award winning Childcare employer? NMT:Employer of the Year NMT:Training and Development Provider of the Year NMT:Nursey Group of the Year Do you have: Relevant Food Hygiene / Nutrition qualification - level 2 as a minimum Previous experience of preparing a balanced and nutritious diet for children under 5 years A commitment to ensure all the children in the nursery care are suitably catered for in line with individual requirement such a religious, medical or preference. Sound knowledge of allergens and subsequent dietary allergy requirements Knowledge of ‘Safer Food Better Business’ including COSHH and HACCP. Good communication skills with the ability to work as part of the nursery team. Are you able to: Assist with the nursery menu’s in line with the nursery and company requirements. To promote a safe environment for all users. To comply with all company policies and procedures including health and safety. To ensure kitchen records are kept up to date as required To attend meetings and courses as required. To positively and actively promote the setting. Then you may be the right person to join our dedicated and passionate childcare team We are a dedicated, family led childcare provider, who believes in offering all of our staff a positive environment in which they can grow and develop. In return for your dedication and commitment we offer: Birthday off – in addition to statutory annual leave. Individual career progression and development opportunities. Employee of the month dedicated to your individual nursery. Annual ‘Superstars Awards Day’ celebrating both individual and team achievements 50% off your childcare fees if your child attends any of our settings BUPA Health Care package, on completion of your probation period, which includes 1000’s of discounts from major retailers Competitive salary in line with qualifications and experience. Bonus for great attendance Everyone that works at Hungry Caterpillars is an important part of our successful team and therefore we ensure you will be respected, appreciated and rewarded for the great work you do. We look to recruit motivated, unique individuals with a passion for helping children and families to achieve their very best. I Find further information on our award winning nurseries on our Hungry Caterpillars website Please Note: This post is exempt from the provisions of Section 4(2) of the Rehabilitation of Offenders Act 1974. Due to the nature of the above jobs and in line with Hungry Caterpillars safer recruitment requirements, an appropriate level of disclosure under the Disclosure and Barring Service will be obtained. Are you looking to join a passionate and dedicated team of childcare professionals? 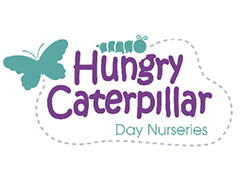 Then Hungry Caterpillars Day Nurseries Ltd is the place for you. We are a team, dedicated to offering all our children a positive, safe, child centred environment where both they and you can grow and develop. Hungry Caterpillars aims to meet each and every child and adult’s individual needs with a positive and caring approach. We do this by working together to build realistic and effective goals which enhance the effective relationships we have built within our nurseries. We are currently looking for enthusiastic Level 3 Childcare Practitioners. If you would like to build a career ladder with Hungry Caterpillars then please forward your C.V to us or complete the attached application form. See attached Job Description for specific job information. Hungry Caterpillars are opening a ****** BRAND NEW NURSERY*** in January 2018 in Academy Gardens in Northolt, UB5. We are looking for nursery practitioners, unqualified, level 2 and 3 and a deputy manager. We have a number of great benefits including a free uniform, a paid day off for your birthday and 50% off childcare if you place your child in one of our nurseries and much more! Apply now!